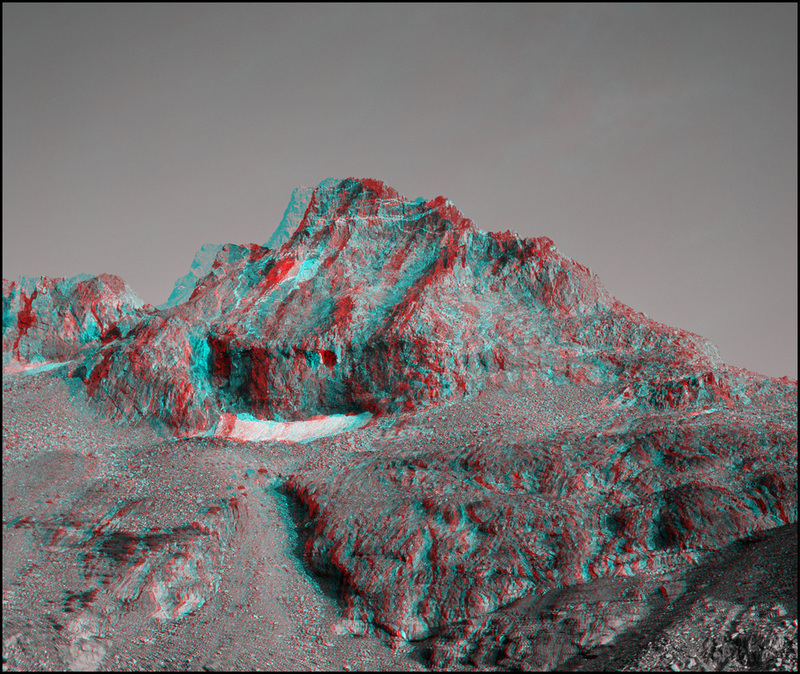 Hyper-Stereo refers to three dimensional images where the cameras are very far apart. This allows us to see depth in subjects such as clouds which we would not otherwise be able to see any depth in. Because our eyes are only 2-1/2 inches apart we would not see any depth in subjects which are farther than about 50 feet away. In this section the camera separation varies from 4 feet to about 400 feet depending on how far away the subject is and the focal length of the lens. The image above is Mount Ansel Adams. I made this image in 2001 with the cameras 20 feet apart. The previous ones are all black and white. I have added 13 of them in color which you may see as parallel, cross-eyed, or anaglyph.